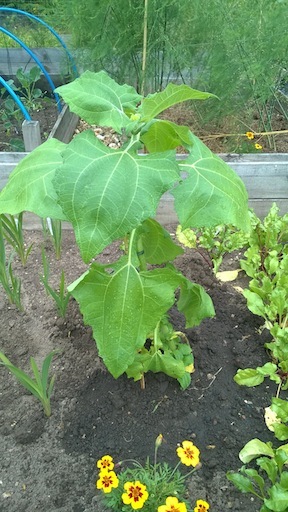 We found a Yacon (or Peruvian ground apple) in the garden centre this week – it’s a type of squash which is apparently tasty and low in calories, so we’ve planted it and we’ll see how it goes. It’s certainly a statement plant, though what exactly it’s trying to say is anyone’s guess. 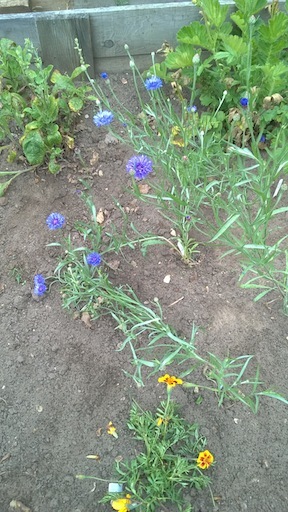 This week, we’ve also composted more green garden waste, which the compost bin is eating away nicely, and I’ve done my usual hoe round to keep the weeds down. 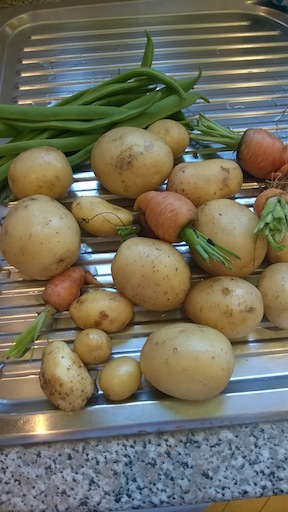 Earlier in the week, K brought back some potatoes, the first of the runner beans (hurrah!) and the rest of the stunted carrots. 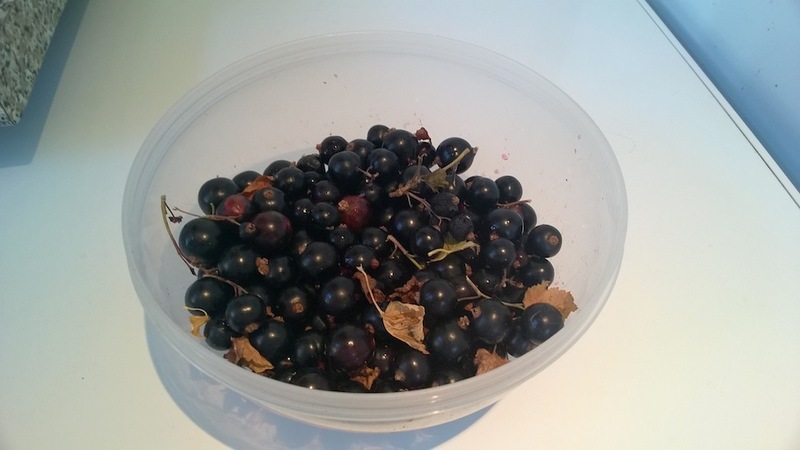 He also picked the first of the blackcurrants, and has made ice-cream, which is utterly fantastic, I must say. It’s odd how we’d never buy blackcurrant ice-cream in the supermarket (because it tastes so bland …) but the home-made stuff is just brilliant. 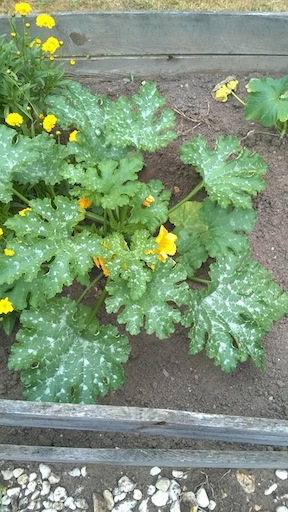 Meanwhile the courgette is coming along nicely, though I didn’t bother picking any more rhubarb as it started to rain quite heavily. 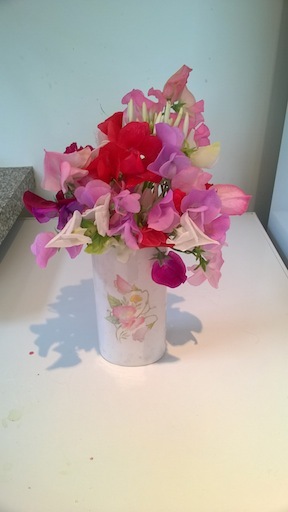 On the flower front, we have sweet peas and cornflowers doing well, plus a good harvest of cleome – which has thorns!! Who knew?!? 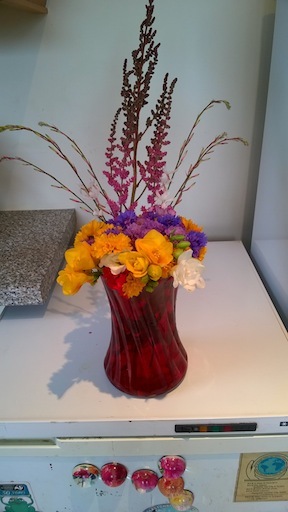 – gaura, astilbe, scabious and coreopsis. 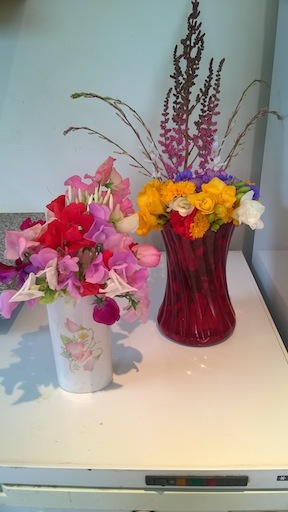 Here are the flowers at home in their final places. 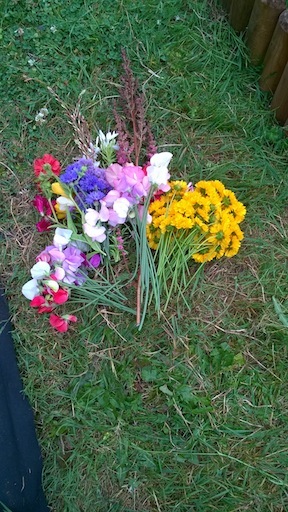 I didn’t bother with the dahlias this time as they only last one day, tops, so there’s no point picking them! 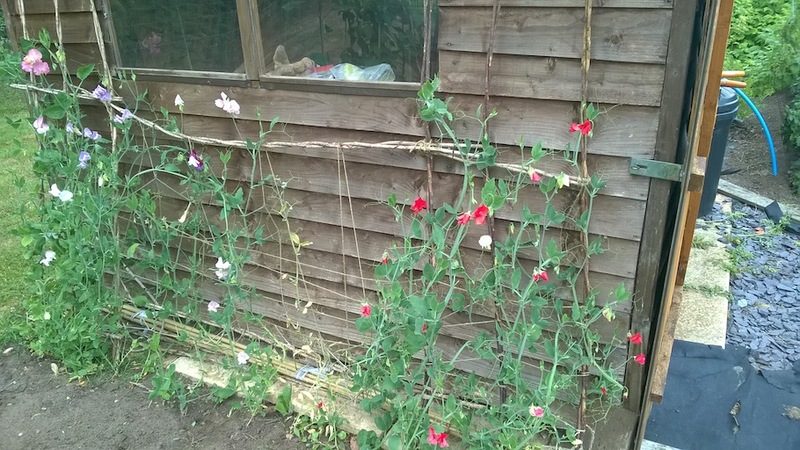 Categories: Allotments | Tags: astilbe, blackcurrants, carrots, cleome, compost, coreopsis, cornflowers, courgette, dahlias, gaura, harvest, ice cream, potatoes, rain, rhubarb, runner beans, scabious, squash, sweet peas, weeding, yacon | Permalink. Very nice small garden ☺ .